(Hopkinsville, Kentucky) — To celebrate its 30th anniversary, the Minority Economic Development Initiative (MEDI) is making history by bringing the first-ever college football game to Hopkinsville. MEDI will hold the inaugural F.E. Whitney Classic Saturday, Oct. 27 at Stadium of Champions on Eagle Way in Hoptown, with the main attraction being an NCAA Div. 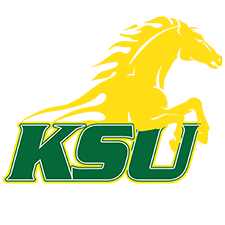 II football contest between Kentucky State University and Jackson, Tennessee’s Lane College. Kentucky State and Lane — a pair of Historically Black Colleges and Universities (HBCUs) — will play at 6 p.m., with the Kentucky State Thorobreds, out of Frankfort, Kentucky, acting as the “host” school for the match up. The “Classic” is named in honor of one of Hopkinsville’s and Kentucky State University’s most notable and esteemed leaders, F.E. Whitney, who at one time served as Hoptown’s mayor. Born in 1916, Whitney was a graduate of the historic Attucks High School in Hopkinsville, as well as Kentucky State University and Indiana University. He was a small business owner who owned and operated F.E. Whitney Real Estate, and was the first black realtor to be accepted into the Kentucky Association of Realtors. Whitney also served on the Kentucky State University’s Board of Regents and served terms as a Hopkinsville city councilman and magistrate of Christian County Fiscal Court. His legacy of leadership serves as a model for all. In addition to the game, which pits bordering rivals and conference foes against one another, the F.E. Whitney Classic will feature a Battle of the Bands during the halftime show. Before the contest, pregame tailgating and free activities like a College Fair, Kids Zone, STEM Experience, Stomp the Yard, vendors and exhibits will be available. MEDI, Inc. is one of Kentucky’s leading 501(c)3 organizations that provides small business and economic development services. Founded in 1988 and incorporated in 2009, MEDI has helped to startup hundreds of small, minority and woman owned businesses, while creating, saving and retaining hundreds of jobs and to obtain millions in capital investments. The “Inaugural” F.E. Whitney Classic will close out MEDI’s 30th-annual Minority Enterprise Development (MED) Week celebration. MED Week is Kentucky’s premier event that celebrates and recognizes the contributions of minority-owned businesses, and those that support minority enterprise development. MED Week was started in 1983 by President Reagan’s Proclamation #5083 and continued by each U.S. President thereafter. MEDI has hosted MED Week events in Hopkinsville since 1988. Tickets for the F.E. Whitney Classic are now available for purchase at www.fewhitneyclassic.eventbrite.com. To become a sponsor, volunteer or simply obtain more information, contact MEDI, Inc. at (270) 885-8885 or email info@medisuccess.org.